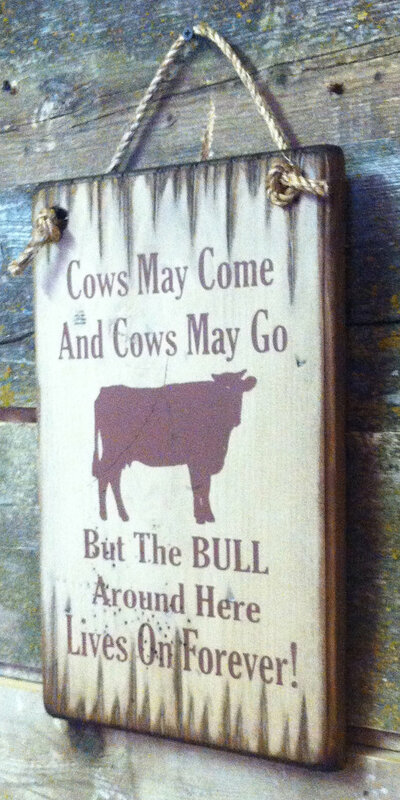 Cows May Come & Cows May Go, But The BULL Around Here Goes On Forever! This funny little sayings will explain how you really might feel on any given day! This white background sign measures 9×14 and comes with the grass hanger for easy hanging. Handcrafted with pride!! 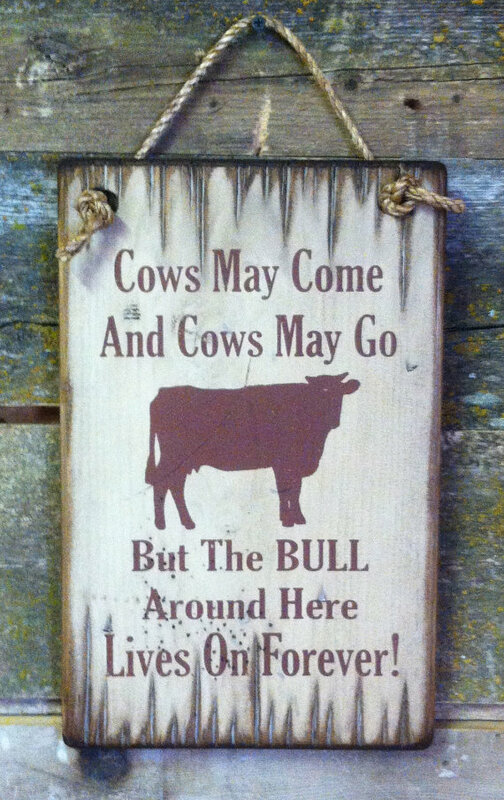 About Cows May Come & Go, but the BULL Around Here Goes on Forever!